Energy Conference Infiltrated by Nazis? The Energy, Science and Technology Conference, held in Hayden (2014), Coeur d’Alene (2015) and again in Hayden (2016) Idaho, are exciting ones that I have been privileged to speak at twice, 2014 and 2015. Unfortunately, I was not invited to speak at the 2016 conference, though I had some important new things to say. They provided me with a new website, which I am grateful for. In the past, this beautiful area of Northern Idaho has been marred by a controversial history involving an apparent invasion by racist, white supremacist, KKK, Nazi goons, particularly in Hayden and Coeur d’Alene, such as the ‘Christian Identity’ “Church of Jesus Christ Christian” church of Richard Butler and the Aryan Nations group. Civil rights groups tried to counteract this negative image in lawsuits and years of work. In general, these groups were run out of the area and told they are not welcome. At the 2014, 2015 and presumably 2016 conferences however, you have the appearance of a Naziphile, Alan Tenczar, and agent of “Führer” Harry Cooper and his grandiously named “Sharkhunters, International”, headquartered in Harry Cooper’s trailer house, in Hernando, Florida. This organization glorifies Nazi U-Boat “heroes”, who torpedoed and killed many British and American sailors and soldiers, hospital ships, refugee ships, all for the ‘glory’ of the Nazi state. It should be borne in mind here, that the title “hero” is reserved only for those who fought for noble causes. I don’t think Nazism was or is a noble cause, so those Nazi sailors were not heroes. Cooper’s purpose in sending his agent to the conferences was, as explicitly stated by him, to “destroy my reputation”. So Alan Tenczar is an accomplice and toady of Harry Cooper in a conspiracy of defamation, slander and libel intended to inflict social, professional and economic damage on me. I actually observed Tenczar bad-mouthing me among other attendees at the 2015 conference, building up lies against me among attendees. This damaged not only me, but the conference as well, by attacking credible presenters. Consequently, I have to say some things here on this website about this situation, after talking with Aaron Murakami, director of the conferences under A. & P. Electronics. If I was cut from the speaker roster because of the officious meddling of these Naziphiles, I think Aaron would have showed the common decency to discuss the situation with me beforehand. Fraud is defined as the concealment of a material fact. If Cooper has concealed a material fact in his attack, it is fraudulent. Cooper’s ostensible motive for ‘destroying my reputation’ regarded what I had said about 24 Type XXI U-Boats having Nikola Tesla-invented oscillators installed on them, in my 1999 book, Pentagon Aliens. But Cooper’s ulterior (concealed) motive had nothing to do with this truthful information, derived by me from personal testimonies of credible sources and also papers belonging to President Lyndon Johnson, which in 1969 were being temporarily stored in a vault on the 4th floor of the Main Building at the University of Texas campus, until they could be permanently housed in Johnson’s Sid W. Richardson Research Center. Cooper calls himself a “historian”, apparently self-appointed. His type of historian can only rely on records available to the public. His information is all second-hand. No classified records were or are available to him, so he cannot possibly know about the matters of which I speak, not only because they are based on my own, first-hand personal experiences which he certainly did not share, but also because they were classified leaks that I alone caught. To call such things false is in fact a lie, and shows Cooper’s ignorance. As they say in the law, he was “possessed of insufficient information so as to form an opinion”. As I said in my book, based on documents in President Lyndon Johnson’s collection, the effect of sending 24 Type XXI U-Boats to America in 1945, was a last-ditch effort intended to threaten to nuke New York City with missiles having neutron bomb warheads, using New York City as a hostage to extort a conditional surrender of the Third Reich and to obtain amnesty for certain Nazi war criminals, including Adolf Hitler. It also included a list of military, technical and scientific personnel, which were later brought to the U.S. under Project Paperclip, which was actually a project created to carry out the provisions of this secret amnesty agreement. These purposes were actually realized. The missiles were being carried in special Lafferenz Project subs, towed behind the Type XXIs. The reason I know this is because there was absolutely no other means for the German Navy to launch such large missiles from submarines. This ingenious method was previously tested in the Baltic under the direction of Dr. Ernst Steinhoff, who died in Alamogordo, New Mexico around 1991. In response to this true information, Cooper’s so-called “expert”, “Pizzarro”—who had absolutely no knowledge of this—got so confused that he substituted two impertinent Nazi sailors named “Steinhoff”—a Frederich Steinhoff and a”Skipper Steinhoff”—neither of which was Dr. Ernst Steinhoff. Why not? Because Pizzarro and Cooper are liars who fraudulently pretend to know all about things they have no knowledge of. The subs came in two attacks, six in the first attack (the “April Attack”), and a second attack around May 4th, involving eighteen more Type XXIs, for a total of 24. The first attack was blown out of the water by dive bombers, making an explosion so large it rocked a carrier twelve miles away. The second attack was successful at negotiating the conditional surrender, the complete terms of which were worked out in radio telephone communications relayed through a Nazi communications U-Boat vessel lying off the coast of New Jersey, between President Harry Truman and Admiral Karl Döenitz, acting head of the Third Reich. This I call the “Three-Day Stalemate” during which the surrender at Eisenhower’s headquarters in Europe was delayed for three days until the Nazi generals executed the surrender on May 7th. It is interesting to note that some have claimed that the U.S. “stole” technology from Germany. Sorry to disappoint them, but the technology was traded to us for the amnesty of the particular war criminals listed in the secret agreement, along with the other technical personnel who were provided with jobs in the U.S. war industry and related places. Cooper pretended to be concentrating on my assertions regarding the Tesla oscillator, which was capable of keeping the batteries charged on the subs 24/7, giving the subs virtually unlimited range, although their range was given as 30,000 miles. This is a revealing fact, since there was absolutely no way for the subs to carry sufficient diesel fuel for such a range, further proof of he over-unity oscillators. The oscillator could have been retrofitted on any submarine, but since it was highly classified, it was not, which is why Coopers blow-hards knew nothing about it. The subs would eventually have to go to port to obtain naval stores such fresh water, food, diesel fuel and probably compressed air, etc., whenever necessary. Around 2002, I had been contacted by a retired member of the Office of Naval Intelligence (O.N.I. 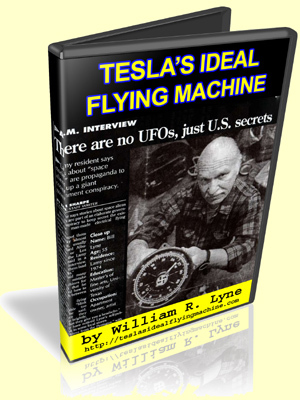 ), who informed me that the Tesla submarine technology is a U.S. Navy top secret even today. The Navy got this secret not only from the Type XXIs captured after the war, but also from three secret complete sets of Nazi war files also acquired by the U.S. The Navy didn’t realize what it had, until later, after the construction of our nuclear fleet. In tests, the Type XXIs outperformed our nuclear subs in terms of range and speed. The Cooper gang had absolutely no knowledge of any of this either. It should be borne in mind that all information possessed by Cooper which supposedly contradicts what I have said is zero, because the main facts of what I have said are all classified and unavailable to Cooper. Information stated by his sources are misinformation, from people ignorant of the truth. Some of it has been planted by the O.S.I. That is S.O.P. For situations where a cover-up has been deemed necessary. Cooper held to the typical misinformation available to anyone, such as the erroneous statement that only one Type XXI was operational in 1945 (William Shirer, Rise and Fall of the Third Reich), even though a researcher Cooper cited, Mark Kneipp, had accidentally discovered, via a repeated F.OI.A. request, that over 200 were operational by the war’s end. The fact that Cooper was admittedly aware of this German researcher (and his information), who had contacted me and sent a copy of the information years before, proves that it is Cooper who is the liar. Not only that, but pay attention to what I say later regarding Cooper’s concealed ulterior motive. To back up his lies, Cooper used some old blow-hard, disgruntled Nazi U-Boat crew members to claim that my assertions were false, because they had never heard anything about the Tesla technology. Ignorance of the truth is no excuse, and certainly no grounds for saying what I have said is “lies”. For one thing, the technology would not have been called “Tesla technology” in the German designs or on the subs. None of those old sailors could have known whether my assertions were true or false, because the technology was top secret in Germany too, and is still classified according to the O.N.I., and only those with a “need to know” have access and cannot speak freely now. In addition, all the sailors aboard any of the Type XXIs are in Davy Jone’s Locker, the first six subs having been sunk and the skippers of the remaining eighteen being required to scuttle with all hands on board, as part of the secret conditional surrender. None of those remained to testify one way or the other because they were all dead. Any others had their mouths sealed by German secrecy orders or the terms of the conditional surrender. Döenitz was later tried and sentenced to ten years in prison for subsequently violating the secret conditional surrender, after delivering by submarine classified strategic military information to Russians in Paraguay, in exchange for the release of some German P.O.W.s in Russia. In the end, Germany could not have bombed New York City at that time without giving up all hope of saving the western part of Germany from the Russians. This strategy accomplished its goals. This Tesla technology allowed the Type XXIs to go faster underwater than they could on the surface. Cooper’s laughable explanation for this was that he “guessed” that they had “larger batteries”! This from the all-knowing Nazi U-Boat expert? I have to say that is a very poor guess, and that anyone who knew would not have to guess, and Cooper apparently did not know. The reason these Type XXIs could go faster underwater on electric power than they could on the surface on diesel power was only because they had electric motors which were more powerful than their diesel engines. This was only possible because of the oscillators’ extra charging power. Naturally they had larger batteries to hold the increased charges. The most remarkable thing about the Tesla oscillator is that it could continue to charge the batteries even when the electric motor was at full power and the sub was under way, as well as when the diesel engine was operating on the surface with its other electric generators operating. The oscillator could allow the subs to continue virtually unlimited travel underwater on electric power, while charging the batteries, because they did not have to depend on the diesel engines operating only the surface to recharge the batteries. The oscillator could allow the subs to travel on the surface under electric power alone, even when he subs were out of diesel fuel. They only had to go to port for more supplies. That is the reason these Type XXIs sent to New York were called “Electro U-Boats”. These particular boats had black boxes which referred to them by “E” numbers (electric numbers). Harry Cooper is too ignorant to understand this, yet continues to call himself an expert and me a liar even when the new evidence is staring him in the face. Cooper actually had no knowledge whatsoever even about the Electro U-Boats prior to my letters to him, and actually denied their existence, even though they are mentioned in William Shirer’s book. Cooper, never having had a top secret clearance, apparently doesn’t know how classified material is handled or covered up, or even that there are cover ups. He apparently doesn’t mistrust anything he finds in public records, except that Hitler survived the war. I can talk freely about classified technology which I have uncovered because, as the FBI said, I “came by it through innocent means.” I had a top secret clearance and also have a knack for catching leaks, and admit that the O.N.I. man who confirmed my information probably violated his National Security Oath, but happily, I don’t remember his name or where he lived. We had a long phone conversation during which we also discussed several other interesting things. I always protect my sources anyway, especially if that is requested. This kind of information has always seemed to present itself to me like obstacles out of nowhere, when I stumble upon it. It has been both a curse and a blessing, but it never seems to stop, like it has a life all its own. It was this “knack” that allowed me, at age 18, in 1956, to uncover more Soviet spies in he U.S. Military at one time than any man in history. But you won’t find this fact by looking into records, because it is classified. You can only rely on my word, which is good. In reiteration, Cooper’s attack on my reputation has noting to do with my revelation regarding the remarkable, over-unity Tesla electric power generator shown in my book, Pentagon Aliens (available from Amazon.com books). The oscillator was based on Tesla’s patent No. 511,916, Jan. 2, 1894, Electric Generator. The patent illustrates two inferior versions, but does not include the particular version shown in my book, which I obtained from the book, Inventions, Researches and Writings of Nicola Tesla, by T. C. Martin, 1894, originally published in The Electrical Engineer. Cooper had sent Tenczar to Idaho so he could fraudulently pretend to have no prior knowledge of my book. Cooper’s attack had the ulterior purpose of being due to his jealousy over my factual, personal account regarding Hitler’s disposition after WW II contained in my book. A secondary reason is because I am anti-Nazi. On the other hand, I am not anti-German (in fact, my name, Lein —changed to Lyne— is German). Cooper was careful to not mention my book for fear of revealing his ulterior purpose. He is also jealous of new information about Nazi U-Boats which he knew nothing about, punching holes in his claims to know anything and everything concerning Nazi U-Boats, more than anyone else in the world he claimed. I am no U-Boat expert. I only know what I know. And now to the kernel of truth: It seems that Cooper had written a book—like those of perhaps a dozen other authors—repeating the typical speculation that Hitler had fled to Argentina and spent the rest of his life there, hiding from American and Russian searchers. Meanwhile, I had a credible story based on personal observation and questions to his security detail, that Hitler had lived out the rest of his life in Kassel, Germany, under Allied protection, pursuant to the secret amnesty agreement, which of course cooper also knew nothing about. The truth is, our government protected Nazi war criminals after the war. This included Adolf Hitler, but he was not allowed to go public because our government didn’t want the world to know this for obvious reasons. Cooper viewed my story jealously, as being a threat to his corny, redundant book, so he really wanted to create doubt about what I had previously said in 1999. Through his personal, unfounded attack, which is a complete fraud, he cowardly relies on his dupes to carry it forward. He could not say that what I had said was ridiculous, because he himself alleges that Hitler survived the war, so what he is really arguing about is what happened to him from there on out. My story is original and credible. Somehow, in his twisted mind, Cooper thought that by creating false doubt about my oscillator revelation, it would carry over and indirectly debunk my Hitler information, increase the sale of his book, and make him a rich and famous (Nazi-worshiping) author, able to move out of his tacky trailer house “headquarters” to a residence more befitting to his ‘eminence’. But it didn’t work. He is still a lackluster writer who is relatively unknown. His attack on me is just more of the same kind of bad conduct for which the hateful Nazi invaders in Northern Idaho were known. These grim vultures, devoid of sentimentality, are attracted to making a return to Idaho like some dystopian version of the swallows returning to the Mission of San Juan Capistrano. The Sharkhunter Bubbas were being lied to by Cooper, all because of his petty jealousy over what I had said about Hitler. Pretty twisted. He thought he could get rich off his tawdry book, much to his disappointment. He still lives in his trailer down Florida way (dare I say “…like trailer trash”?). His “Sharkhunters” remind me of that motorcycle gang in the Clint Eastwood movie, “Every Which Way but Loose”. Cooper had no knowledge whatsoever and did not understand the related fact that the U.S. Army Counter Intelligence Corp had sent certain S.S. men led by General Otto Skorzeny to Argentina to set up ODESSA, to protect them from being extradited and interrogated by the Soviet Union, because they had so much secret strategic information regarding military technology acquired by the U.S. from Germany pursuant to the provisions of the secret conditional surrender of Germany at the war’s end and even before. Argentina had no extradition treaty so the Nazis there were beyond Moscow’s reach. Alan Tenczar, the little Naziphile stooge sent to Idaho by Cooper to spread discord about me, must be a very shallow-minded and naïve person to be such a useful liar for Cooper. That probably applies to some other Sharkhunter members as well. Anyway, one would think that by now, over seventy years after the war, Nazi worshiping would have petered out, but you have some jerk like Harry Cooper there in his trailer nest in Florida, fanning the dying Nazi embers to barely a weak flame. Yippee! But to hatch an interstate conspiracy to stalk me and tamper with my reputation among those at the energy conferences is tortuous as grounds for legal action for damages for defamation of character, libel and slander. These goons have engaged in this to harm me. Conspiracy is a felony and stalking becomes a federal crime when crossing state boundaries. Any lawyer out there who wants to represent me against those Nazis on a contingency basis please contact me. But the point I’d like to make here is that the Tesla oscillator is a truly remarkable, over-unity invention. It was exhibited by Tesla at the 1893 Columbian Exposition, at which he was the guest of honor. There is a photo and schematic of it in Pentagon Aliens. That particular variant was destroyed by a fire in Tesla’s laboratory in 1895. The fire was a devastating loss for Tesla, hard for him to recover from. I have no information on anyone in the public building one of these, probably because 50 miles of windings represents such an obstacle. There was an inventor in Virginia, named Dort, whose son told me that his father had built and improved on the generator only to have Nazi naval spies steal it in 1939. The unit is composed of two U-shaped laminated iron cores with fifty miles of windings on them. There are gaps between two pole pieces on each side of the cores, at the ends of the two interfaces. Sliding in these two gaps are two inductors mounted on a single rod. In the center of the rod is one of Tesla’s pneumatic oscillators. A half-horsepower compressor would run the oscillator. Only a small vibration—from about 1/16” to a maximum of 3/8”—was required to make the two inductors rapidly cut the magnetic lines of force, building up large magnetic fields in the cores and crossing in the pole-pieces, generating a large current. Tesla described it as “very efficient”, by which he meant efficient at gathering and converting environmental magnetic energy into useful electric power. There would be no sense in using the generator if it were not over-unity, because if it only produced the same power required to run it, one wold be better off saving that electrical power and using it directly. The oscillator patent was part of a large packet of submarine-related technology sold by Tesla to the German Minister of High Marine, Admiral Alfred von Tirpitz in 1914. Tesla said that for every 200 pounds of iron attached to the generator, another horsepower was produced. One can only imagine how much horsepower would be produced when it was attached to the iron hull of a U-Boat. The Naziphile, Cooper is a bald-faced, jealous liar, a poor writer and researcher. I on the other hand am credible, which is why Cooper has gone to such extremes to damage my reputation. My interest is to expose secrets and lies and spread the truth. It is for this reason that Aaron Murakami invited me to speak at the Energy, Science and Technology Conference in 2014 and 2015. If he gave these Naziphile cretins any respect for their lies it would be a disappointment to me. When I spoke at the confeence in 2015, my subject was Tesla’s UFO technology (with some information on the creative process for inventors thrown in for good measure). On the insistence of Aaron Murakami, I gave greater weight to the “Electromagnetic Momentum Theory” of J. J. Thomson, but I had already began to reject that idea for certain reasons. At the same conference, I disclosed the forgotten theory of an obscure Russian scientist named Ivan Ossipovich Yarkovsky, that gravity is the product of the ether passing downward into the earth and other celestial bodies, where it builds chemical elements and creates gravity. This theory caught the attention of Mendeleev, the great scientist who discovered the periodic tables of elements. That may be a possible way that Tesla found the theory, if he hadn’t developed it independently. Subsequently, I finally realized that Tesla could not have incorporated Thomson’s theory into his Dynamic Theory of Gravity (which was never published) because he believed that electromagnetic waves cannot be transmitted in free space because the ether is a gas and not a solid (electromagnetic or “transverse” waves can only be transmitted in solids, like copper conductors. Even Einstein realized this). Those facts, therefore, excluded Thomson’s theory. Tesla’s “sound waves in the ether” are longitudinal, D.C. mechanical pressure traveling waves (not electromagnetic waves) that travel at the speed of light. Throwing those waves out in front of the ship creates a sort of “super-gravity” which pulls the ship forward with astounding speed and force. The ether is sucked into the rear of the ship and accelerated to the speed of light, pulling the ship forward with astounding speed and force, and affects all the mass of the ship and all its contents. I clocked one going about 36,000 mph in 1953. Yarkovsky’s theory, published the same year that Tesla came to America (1884), fits in nicely with Tesla’s Dynamic Theory of Gravity. As for the Naziphile, Tenczar, I think the conference can do very well without him. There are plenty of legitimate, reasonable and respectful applicants to fill the spot. Meanwhile, if they want me to speak again that is their business. There is always room for questioning the assertions of anyone but there is little room in the conference for engaging in clandestine, unexamined lies and defamation. Let the words fall and go from there in an open and reasoned forensic manner.